This is the story of Laurel. When Laurel was 16 years old, she witnessed a crime in her driveway. That crime, which Laurel helps cover up, changes the course of their family. Now, 50 years later, as her mother lays dying, Laurel wants to get to the bottom of what happened that day in her driveway. And why. She starts to hunt for answers knowing her time is short. 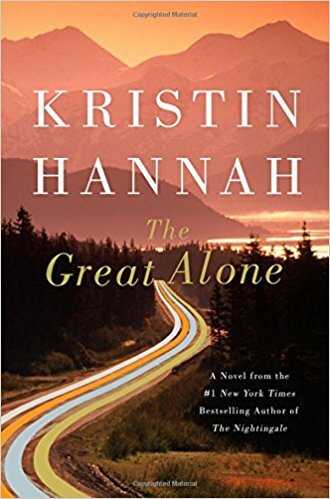 The truth of her mother's past starts to come together, and Laurel can finally put the past to rest. This was a really good book. It jumps back and forth between the present with Laurel as an adult, and her mother - Dorothy - as a young woman. 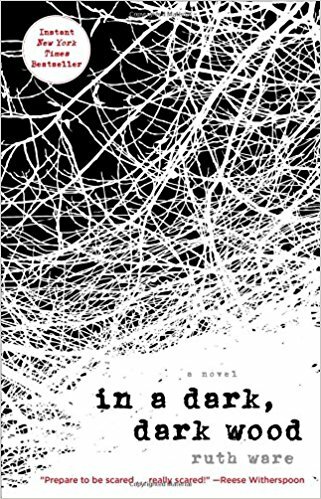 While Laurel searches for the truth about her mother, the readers are given a look at Dorothy's youth and young adulthood and how that crime came to be. "Out With" - away from their comfortable home in Berlin. Bruno is unhappy about the move, but because his father is not a "Commandment" in the Germany army, the family had no choice. Their new house is smaller than what Bruno and his sister, Gretel, are used to, and there are not many other houses around them. When Bruno looks out his window, he sees a large fenced in area full of people all wearing Striped Pajamas. He doesn't know what they are all doing there. One day he goes for a walk along the border of the fence, and finds a little boy named Shmuel. The two of them start talking and Bruno starts to visit him every day. Bruno, who doesn't fully understand what the fence is for, and why the little boy cannot come and play, starts to become curious about life inside the camp. According to Shmuel, there are 100s of little boys in the camp, and Bruno - who has been wishing for playmates - asks Shmuel if he can come inside the fence and play. This was a great, fast read. It was well written. Told from the point of view of a 9 year old boy that does not understand what is happening around him was a unique story telling style. He thought when his parents were says Auschwitz it was "Out with". He thought the Fuhrer was "The Fury". He could not put together what was happening around him - only that he was forced to move and now has a friend behind a fence that he cannot reach. The ending is catastrophic and I did not see it coming. I encourage you to read this book, and take on yet another view of the Holocaust. 60 books!! This a record for me by this time of year. Thank you long tram rides. This is the story of Jacob Weisz. He flees Germany to join the underground resistance during WWII. 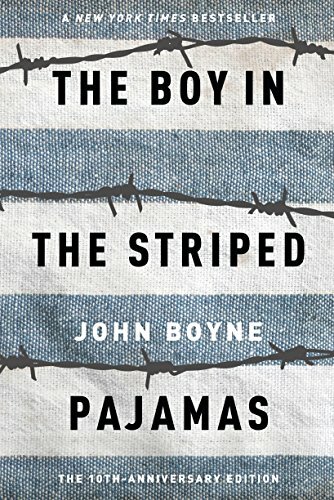 In the process of trying to help prisoners on a train escape, he gets locked in and finds himself on his way to Auschwitz. Because he isn't accounted for, a man on the train gives him his son's name, so that when he gets to the camp, he won't be shot immediately. 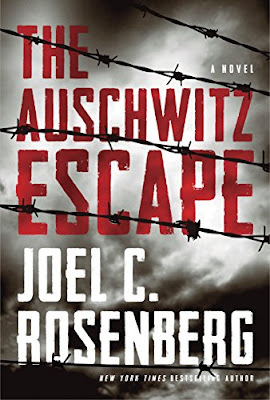 While at Auschwitz, Jacob is pulled into a group of prisoners who are planning an escape to tell the outside world what is going on in the camps. He becomes friends with a man name Jean-Luc Leclerc who is a Christian who was imprisoned helping Jews. They become a team when escaping Aushwitz, and are on a mission to tell the West what is happening in Poland. "If you ask me, the question shouldn't be 'Why are you, a Christian, here in a death camp, condemned for trying to save Jews?' The real question is...'Why aren't all the Christians here?'" The story, as always, it heart wrenching. What was witnessed inside these camps, and how the outside world was lead to believe that nothing was happening inside these camps but hard labor, is almost hard to imagine. But - on the other hand.....this book was a bit preachy. 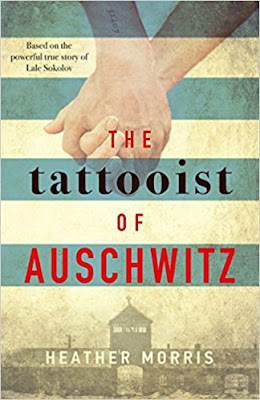 It geared a bit more toward the religious differences between Jews and Christians and Bible passages that it took away from what I believe was the real story - the horrors of Auschwitz. I think this book could have been a couple hundred pages shorter and still been excellent if you take out the unnecessary religious spin. It was worth the read. And you can always skim the heavy religious sections to get to the more detailed story. You can tell the author did his research regarding the camps. So it might be something you don't want to miss. This is the story of two women - Eve and Charlie. The time line flips back and forth between the early 1900s when Eve was a young girl who was recruited to be a spy during the first world war, and the late 1940s after the second world war. Charlie - 19 years old in 1947 is pregnant, single, and looking for her lost cousin Rose. Her mother and father want Charlie to "take care of" the baby, and put her on a train to Switzerland to have it done. But Charlie isn't sure that is what she wants. While traveling with her mother, she sneaks away because she wants to find her cousin, Rose. She meets Eve and begs her to help her find Rose. Rose is now an older woman, in her 50s. She is drunk most of the time and not really looking to relive the past. Charlie proposes money and will pay for the whole search, and mentions a name that Eve knows. Eve agrees to help Charlie. While together, Eve starts to tell Charlie of her time as a spy, and the mission launches them both in a direction they aren't sure they want to go. This was a good book. There are pieces of true history (The Alice Network and one of the characters who was truly in the Network, plus a bombing that really happened during the second world war) mixed in with fiction that made the story a good read. One half of the book takes place in 1915, and the other in 1947. The part during WWI is definitely the stronger of the two in this story - better written and more interesting. 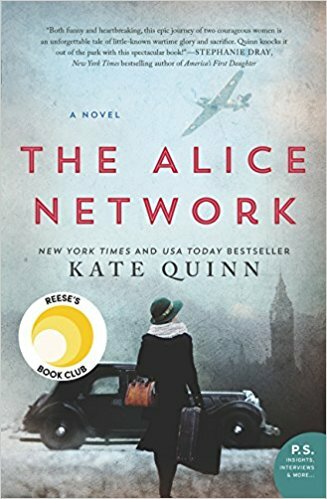 The story of the Alice Network is fascinating and learning what these women did to save 100s to 1000s of lives was amazing. The second half of the book was a little trickier to like. Charlie and the male "love interest" did not add much to the story, and neither were really likable or realistic characters. Don't skip it - I think it is worth a read especially the parts about Eve and the Alice Network. The evil characters are truly evil, and once again the horrors of those wars are brought to light. This sweet little novella starts with a father talking to his son on Christmas Eve. His son - who he hasn't seen in many years, and hadn't seen much as he was growing up because he was too busy being successful - has agreed to meet him to reconnect. A week before this meeting, the man met a 5 year old girl who is dying of cancer. She knows that she won't be leaving the hospital - knows she will die soon. Suddenly - the man is given an opportunity to do something good. Something that would change the little girl's destiny. But before he can do that, he wants to see his son and wants to tell him his story. this was a great, short book. 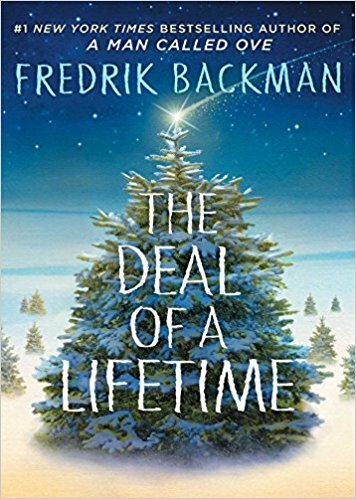 I have read all of Fredrik Backman's books and he never disappoints. This was a clever, small book (I read it in 30 minutes), and I highly recommend it. I wonder how many of us would chose to trade a life for a life. This is a story of Leonora who is invited to a weekend away from a long lost friend. Her friend, Clare, is getting married and has invited Leonora to a "hen do" (British for a bacelorette party). 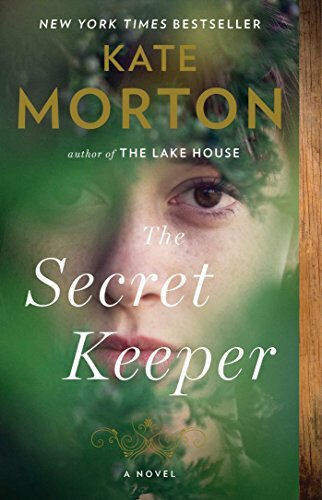 Leonora hasn't seen or spoken to Clare for 10 years, and she finds it odd that Clare wants to see her now. At the maid of honor's insistence Leonora agrees to go. There are only 6 people invited to the "hen do" and none seem to have much in common. It is revealed during the weekend why Leonora is invited by Clare, and soon things start to unravel and people end up dead. The next thing Leonora knows is she is in the hospital with memory loss and a cop sitting outside her hospital room door. Leonora starts to piece together what happened, and becomes even more in danger than she was before. This book was fine. Not worth the hype, that is for sure. It is a quick reading murder mystery. It was easy to figure out the killer pretty early on, but I kept reading to see how it ended. All the characters were pretty shallow. You don't end up liking any of them. The ending was a bit crazy - seemed like the author gave up. It wasn't well thought out or made much sense. Really made the main character seem dim witted. Eh - I wouldn't bother. It could have been a lot better. This is the story of two families - the Richardsons, who are a prominent family in Shaker Heights, Ohio. They have 4 children, a beautiful home, and a picture perfect life. The Warrens are a nomadic family that have moved continuously. Mia and her daughter Pearl have never stayed in a place long. Mia, an artist who barely scrapes by with the art she sells, picks up and moves when things get rough. She landed in Shaker Heights when Mrs. Richardson offered their small investment property to Mia to rent. In exchange Mia would work part time for the Richardsons so she had time for her photography. Things are going well for a long time. Pearl becomes fast friends with the three eldest Richardson children - Lexie, Moody, and Trip. Izzy - the youngest Richardson child is broody and a family outcast who is shunned by her older siblings. But Mia and Izzy form a bond in the time that Mia works for the Richardson family feeling that Mia actually understands her. Pearl falls fast and hard for Trip. 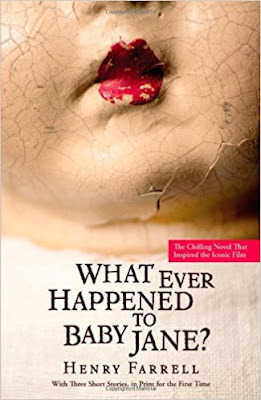 When old family friends of the Richardson's attempt to adopt an abandoned Chinese baby, a custody battle erupts and divides the town and even divides the Richardson family. Secrets of the Richardson family and the Warren family start to surface during this time that will devastate both families. I loved this book. Celeste Ng is a terrific writer. I didn't want to put this book down - finished it in a day and a half because there were so many twists and turns - I needed to see where it was going. 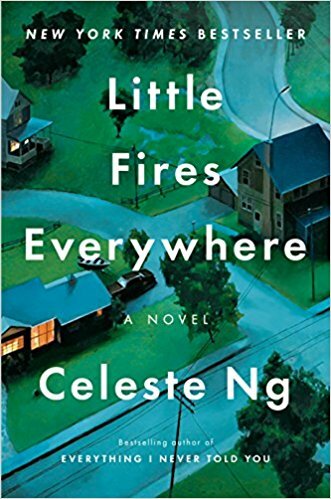 What I love about Celeste Ng's books is that she starts with the ending. Meaning - she gives away the whole reason for the book right up front, and then works the character development. She did this in "Everything I Never Told You" and I found it so refreshing and different I hoped she would write more novels. The only problem I had with this book was a little bit of the Chinese story. And that was only because that type of thing is person to me. We adopted a little boy from China 11 years ago, and I would never want people to think that he isn't "Chinese enough" because he is being raised by white parents. I think Celeste tried to be sensitive to adoptive parents, but it did give me a twinge none the less. Grab this book and read it - and if you haven't read her other novel - read it first. This is the true story of Lale Sokolov who was a concentration camp survivor. The author tells his story of what it was like for him during the 3 years he was in Auschwitz. 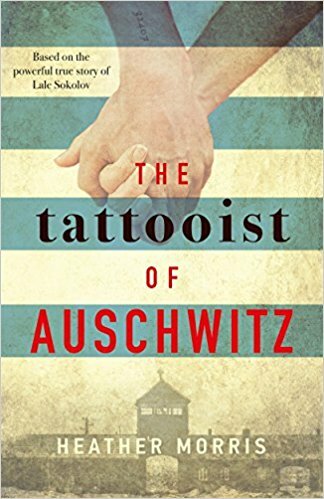 He was chosen to be the Tattooist who tattooed the numbers on the prisoners each day when they came to camp. This job helped him stay alive during those three years. He also befriended people who came to the camp to work each day who would bring him food that he could share with other prisoners. He helped saved the lives of many while he was in camp, and when he was finally liberated, he was able to marry the love of his life (whom he met in the camp). I have had this on my list and was excited to read it. It was chosen as a book "not to miss this year". The story is unnerving. I have read quite a few stories - fictional and non-fictional - about WWII and what the Nazi's did, but this was by far the most bleak. I was horrified by what Lale reported from first hand eye witness inside the camps. The attitudes of the guards, and even the doctors. That people who treat other human beings this way is something I will never understand. How they would shoot people for no reason other than because they felt like it. That even when they were liberated from the camps, they still were not free. It took Lale awhile to get free of being a prisoner and find Gita - his soon to be wife - and start a real life. They moved away from Slovakia - where they were from because they needed to escape. The writing wasn't particularly great, but I encourage you to look past that to hear this story. I read a few days ago that the Holocaust is being forgotten. But how can that be? It can not be forgotten - we cannot afford for something like this to ever happen again. This is a story of two sisters. Jane was a star as a young girl (think Shirley Temple). Then along came her younger sister, Blanche who was prettier and more talented. She started to get a lot of acting jobs and a lot of attention, and Jane was pushed to the side. One night, Jane and Blanche are in a terrible car accident and Blanche is left paralyzed from the waist down. Everyone blames the accident on Jane - saying she caused it because she was jealous of Blanche's success. Over the last 20 years Jane has been caring for Blanche - closed up in Blanche's mansion. But Jane is unstable, and still holds a long grudge of Blanche's success. Things start to go downhill for the sisters. As Blanche tries to get outside help to get her away from her unstable sister, Jane becomes more dangerous. 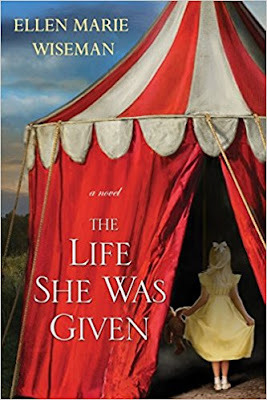 This book was not that great It wasn't entertaining, and it wasn't well written. I know it was written in the 1960s, but it just wasn't that suspenseful. It was predictable, and none of the characters very likable. I don't recommend it. I was glad to be finished with it. This is the story of a young couple named Marco and Anne. They have a young baby, named Cora. 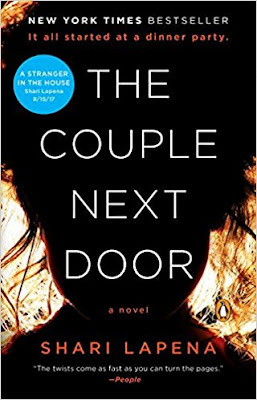 One night, while Cora sleeps, Marco and Anne go next door to a party with their neighbors. Anne is reluctant to leave the baby home alone, but the sitter canceled at the last minute. Marco talks Anne into taking the baby monitor - they can hear Cora if she fusses while she sleeps, and they agree to take turns checking on her every half an hour. They return home after the party to find Cora missing from her bed. The front door was left open but no signs of forced entry. Frantic, Anne immediately calls the police and this starts an investigation into where the baby has gone. Everyone is a suspect - the parents, the neighbors, a mysterious stranger. Anne and Marco will do anything to get Cora back alive even if that means lying to protect their past secrets. This is an okay book. It was a fast read - I didn't want to put it down until I found out who did it. 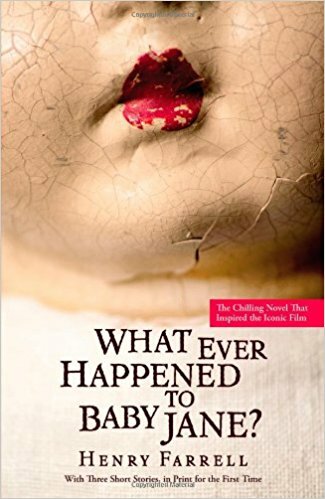 None of the characters are particularly likable - the only one I felt bad for was the baby. The title doesn't make much sense to me, honestly. The couple next door - are they talking about Marco and Anne? Are they the couple? Or are they talking about their neighbors - whom they went to the party with? That doesn't make much sense either because the husband of that couple is barely in the book. And the wife - just a bit. Just an odd title choice. It was fine. If you are looking for something to pass the time on an airplane or on the beach, then this would be a good book for that. 50 books! Half way to my goal for the year. This is the true story of the author's childhood. Jeannette and her 3 siblings grew up with transient parents who moved them all over the country. They never had much money, her dad was an alcoholic, and her mother only cared about herself. Neither of her parents ever held down jobs for more than a few months, and the children often went hungry. 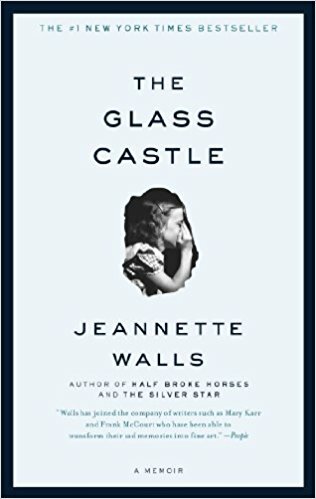 Left alone for most of their lives, Jeannette and her siblings needed to learn how to care for themselves. The family finally lands in Welch, West Virginia where the kids finally escape their lives. After living in a shack that didn't have indoor plumbing and holes in the ceiling, and no heat, Jeannette and her older sister and younger brother escape to New York City after high school to go to college and get jobs. All three of them find jobs and for the first time in their lives they had a steady income, a roof over their heads, and safety. They are able to save enough money to have their youngest sister join them and finish high school in NYC - just to get her away from her parents. A few months of all 4 of them in NYC, and the parents drive up to join them. No matter how hard the children try - they cannot escape their parents. All 4 of them refuse to let the parents stay with them - knowing what it would mean if they did - and the parents remain homeless for 3 years before finally finding an apartment to squat in. This was a great book. Knowing that these children lived in these conditions was unbelievable. My aunt and uncle actually lived in Welch for awhile - taught there and had Jeannette as a student. These kids grew up in terrible conditions - having barely enough to eat one meal a day, sometimes not even that. Child Protective Services was only called one time, and they never followed up. So easy for kids like this to be invisible. I am anxious to watch the movie to see if it is like the book. I highly recommend reading this and see how these kids did get out of this situation and made something of themselves. There are so many families who are the poorest of the poor who cannot escape the cycle. IT seems easy to get out - but it isn't. So for three of the 4 children to make something of themselves after what they grew up with, is significant indeed.